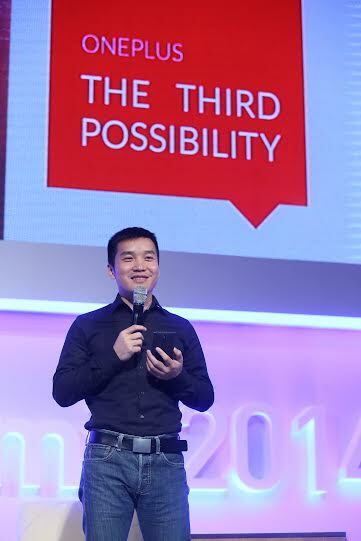 CEO of OnePlus Pete Lau shared his entrepreneurial background with the audience at the Startup Summit 2014, in Seoul, Korea. OnePlus One, the company’s flagship smartphone which TIME magazine reviewed as the “Phone of Dreams”, has caught the eye in China and throughout the world. OnePlus has sold 1 million phones this year, and the company, having started with just five employees, now has 600. Technode had a chance to talk to Pete Lau, and he shared aspects of his philosophy on the product. When asked how the OnePlus One differentiated itself from other phones, Lau emphasized its design. He wanted to build a beautiful product so users can enjoy using it, every time, every day. This led him to consider the phone’s every detail. It should be comfortable when you grab it, and it should be beautiful when you look at it. To give users a feeling that they are close to nature the company released a limited edition rear cover using a natural material: bamboo. It wasn’t just the design of the OnePlus One which gained it so many overseas fans. Its affordable price and invitation-based sales are the core of OnePlus’s marketing, making users crave an opportunity to buy it. Lau recalled that when he started the company he wasn’t sure how many people would buy the phone. He wanted to try the price system to make sure people can afford to buy one, and wanted to give equal chance to the users. So the company came up with the idea to hand out invitations to buyers so that they could invite their friends to buy one too. This built the OnePlus One’s reputation, and people loved it; MIT even asked if they could add this unique marketing strategy to one of their marketing textbooks. Lau added that some users even asked him to increase the phone’s price, since they were anxious the company might go bankrupt. From day one, Lau’ s goal was to build OnePlus into a global brand. In order to do so, Lau observed the importance of having a global team. Currently, one-third of OnePlus employees are from the U.S., the other one-third are from Asia, with the remainder from China. While Lau leads the direction of the company, co-founder Carl Pei leads the global team and overseas departments since he speaks Chinese, English and Swedish. Their ambition remains to create products that don’t compromise, and which delight fans worldwide.